When you need to buy a piano or an organ, you should do a few preparatory steps to ensure that you find the best instrument for the purpose you are hoping to accomplish. If you are searching for a high quality piano and organ to use as a professional for instance, you should focus your research on the best brands with the features that you want. There are several different types of piano models that you might consider buying including upright pianos, digital pianos, and others. If you're looking for an organ instead, there are also a variety of different types such as theatre organs, classic organs and others. Any stores that offer piano sales in Melbourne should have the experienced staff that can explain the unique benefits of a particular organ or piano to you. There are important minute differences in each type of piano and organ model that you need to be aware of, and an experienced staff member should know how to differentiate between these details and explain them to you clearly. Also, look for stores that offer piano sales in Melbourne with regular discounts and other offers to reduce prices. An important thing to do is to pick a store that has a wide selection of piano and organ choices so that you can view the features and capabilities of each piano and organ in person. With a wider range of choices, you can find the piano or organ that meets your needs and one that has all of the features that you want. A store with a wide range of organ and piano models will also have several models on sale, which can save you money on the purchase of a new instrument. For instance, some stores offer specialty instruments such as theatre organs, which may not be available elsewhere. Theatre organs were designed specifically for use in silent movies. Most theatres no longer use them; however, they are still highly sought after as collector pieces. Theatre enthusiasts would certainly love having a real theatre organ as a furniture display piece, but they are costly. There are modern digital theatre organs designed to mimic the sound of original theatre organs and are much less expensive than purchasing an antique theatre organ. When looking for piano sales in Melbourne try to find lower than retail prices, and check to see if the store has any specials on particular models. Many stores will have special pricing for their pianos that you may need to enquire about. Piano sales in Melbourne can save you hundreds and sometimes thousands of dollars off the standard purchase price of a normal to high-end piano, so it is well worth the time and effort to look for deals. When you are shopping for a new model, it's best to speak with experts who know the details about each model that you are interested in. 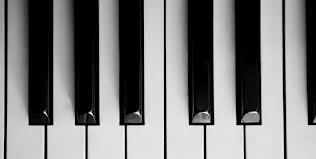 There are several details to consider with a new piano purchase such as the type of piano, the keys, digital features (if the piano is digital), depreciation, size of the piano and organ, and other details. The staff at Prestige Pianos & Organs is highly experienced and knowledgeable of all the different types of organ and piano models available at the store, and can answer any questions as needed. Contact Prestige Pianos & Organs today for visit the website at www.prestigepianos.com.au for more information on how we can help you find the perfect piano or organ for your needs.